Once upon a time, when you heard the name “WordPress” you thought of blogs and family reunion websites. Over the past decade, WordPress has become a powerhouse platform, running more than 25 percent of the internet. In fact, WordPress is the most popular content management system on the web today. WordPress powers some of the world’s biggest brands, including UPS, PlayStation, Mercedes-Benz and many, many more. 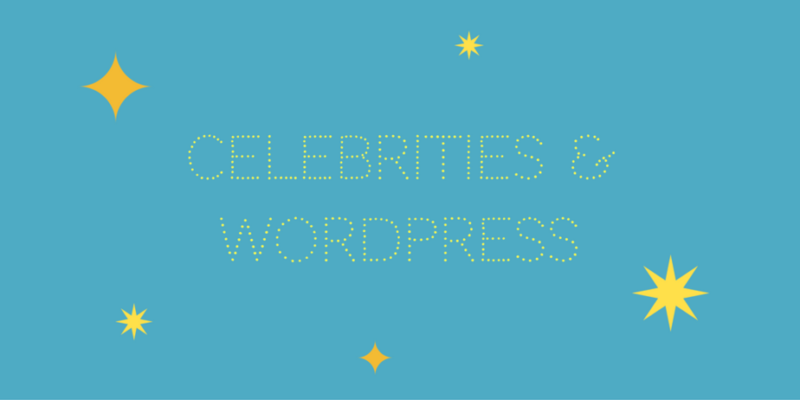 It also drives the websites of famous A-list celebrities. And when we say A-list, we mean A-list. From singing in a church choir to becoming one of the world’s biggest female pop sensations, Katy Perry knows how to wow fans. KatyPerry.com provides fans with a web shop, social media updates, music videos and lots more. For 40 years, Sylvester Stallone has been a blockbuster writer, actor and director. 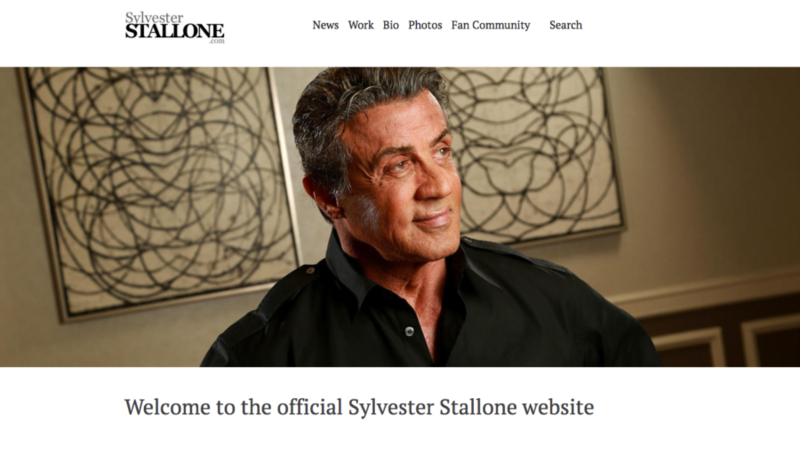 SylvesterStallone.com is a compilation of Stallone’s past, present and future work. Since 2009, singer and songwriter Justin Bieber has been making fans’ hearts skip a beat. 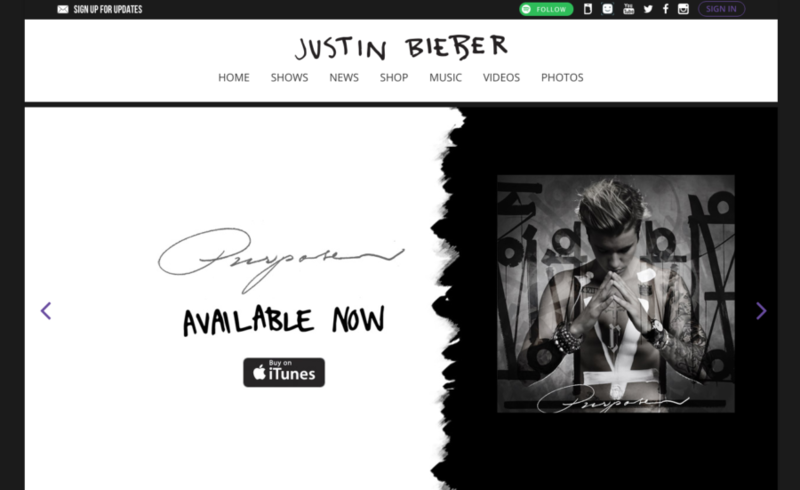 Bieber’s site, JustinBieberMusic.com, is no exception. Packed with news, videos, web shop, tour dates and more, fans have a one-stop-shop for all things Biebs. 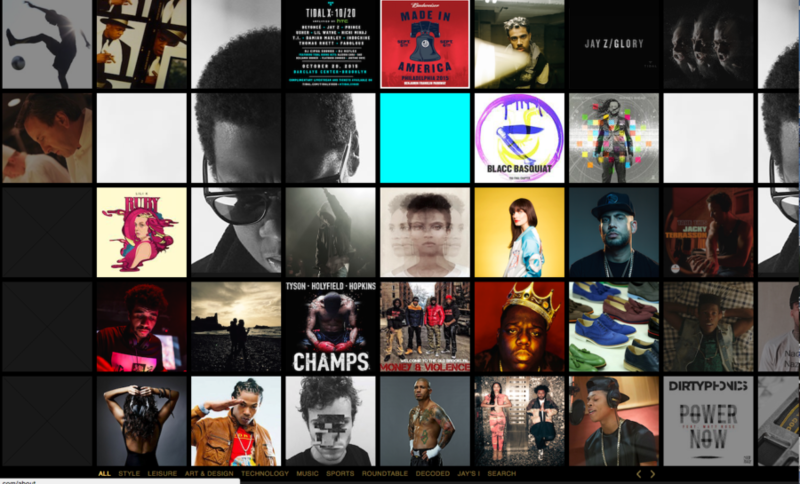 Award-winning rapper and highly successful businessman, Jay-Z’s LifeandTimes.com is a digital cornucopia of art, sports, fashion and culture. The fastest human ever timed, Olympic gold medalist Usain Bolt is a World Champion athlete and world record holder. 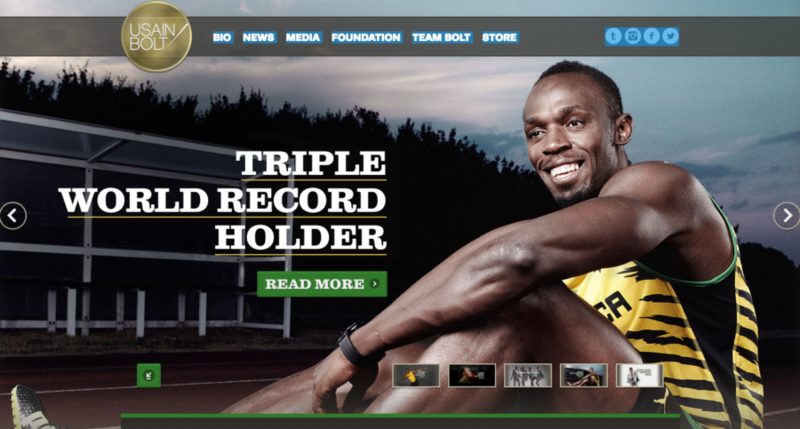 Bolt’s site, UsainBolt.com, is his online home for news, web shop and the Usain Bolt Foundation. 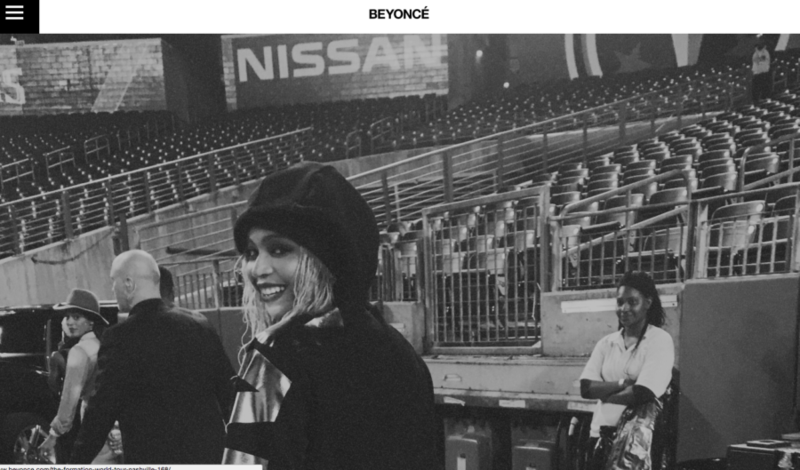 Beyoncé.com is an online shrine to the Grammy award-winning singer, songwriter, actress and record producer. It’s packed full of photos, information on her tour and clothing line, videos and much, much more. One of the world’s best selling artists of all time, beloved country singer and songwriter Garth Brooks has been taking the world by storm for over 25 years. 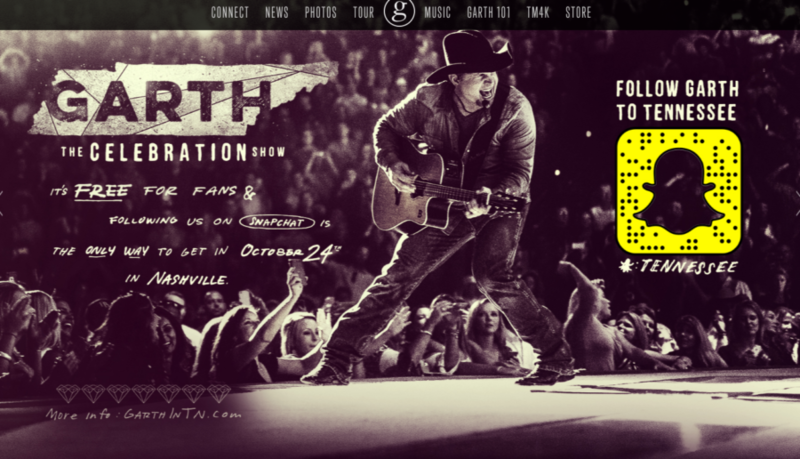 GarthBrooks.com is just as robust as Brook’s performances, offering site visitors tour updates, photos, news, web shop, history and Teammates for Kids Foundation information. WordPress is extremely versatile and allows artists and celebrities the creative freedom to do just about anything with their sites. From highly interactive user experiences to eCommerce merchandise sales—you name it, WordPress can do it. Interested in seeing more big brand websites using WordPress? Check out wordpress.org/showcase. And A-list starts can’t afford damaging their image with a data breach or defacement on their site – contact SiteLock today to become a cybersecurity superstar and learn how to make sure your website stays safe and always performs its best .